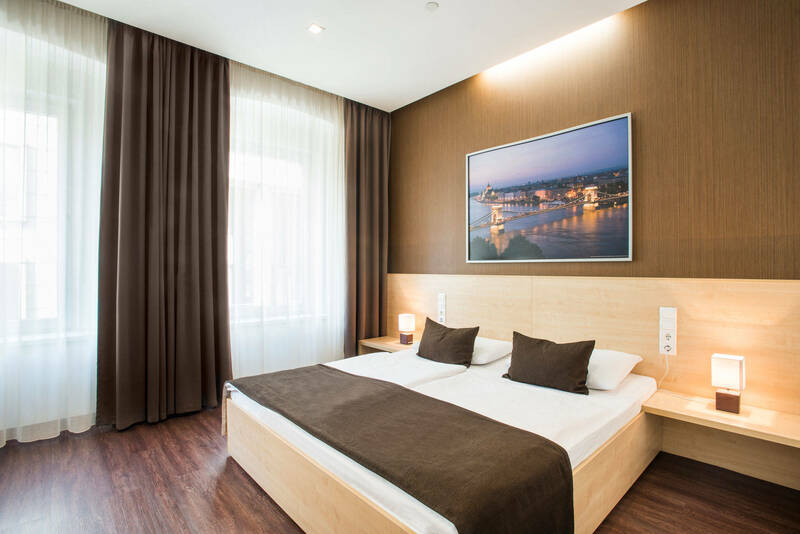 Stay with us in the city center of Budapest, in the 3 star superior category Promenade City Hotel! Unique, modern design in the heart of the Hungarian capital - pleasure is guaranteed! The 45 comfortable and well-equipped deluxe rooms of Promenade City Hotel provide the most up-to-date facilities for both business and leisure travel. 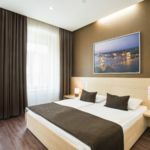 The rating of Promenade City Hotel Budapest is 9.2 from the maximum 10, 14 based on actual and valid guest ratings and reviews. "Elküldtek érkezéskor egy másik szállodàba mondvàn hogy nincsen szoba szàmunkra! Mi kb. egy hónappal előre màr lefoglaltak a szobàt! Ez nem szép önnöktöl! Legallàb előre tàjékoztatni lehetet volna. Semmi kàrtéritèst sem kaptunk. Az áttelepített szálloda Cosmo nem valami jó volt. Tisztelettel Tibor Braun"
"1. kérdésre a válasz: azért választottam mert AMEX kártyát elfogadnak." Based on the reviews and comments of actual guests, the services of the Promenade City Hotel Budapest have received a high rating of 9.3/10.